The Huawei Ascend P6 runs on a somewhat dated quad-core Cortex-A9 processor though Huawei says it did a lot to optimize its consumption. 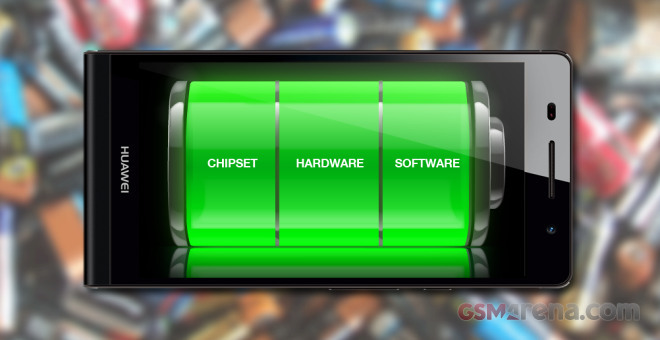 The low-power IPS display should be gentle on the 2000mAh battery as well, but we’ll have to see it to believe it. As usual we first put the phone through our 3G call test. It managed to last a quarter over 14 hours, which is a pretty good score and one not too far off what the official rating provided by Huawei. As 6:30h, the Huawei Ascend P6 web browsing endurance isn’t spectacular, but it’s enough to secure it a spot around the middle of our charts. Finally, the Huawei Ascend P6 battery drained down to 10% on video playback just a few minutes before the test reached its 7-hour mark. It’s not even close to the best score we’ve seen, but it’s enough for at least a couple of long movies and one or two episodes of your favorite series to fill those long trips. The Ascend P6 standby endurance is about average and it leaves its mark on the final score. 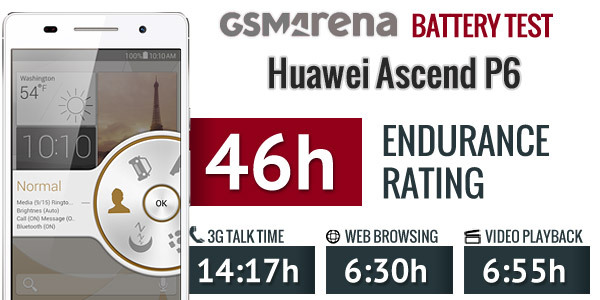 Huawei Ascend P6 got an endurance rating of 46 hours, which means you’ll have enough energy to last almost two days if you are using your P6 for an hours of web browsing, 3G calls and video playback each day. And if you feel like squeezing the full potential out of the 2,000 mAh battery, you should definitely check out the preinstalled Power Manager, which lets you create and switch battery profiles, forbid battery-intense apps to run in background and edit your startup apps.That could improve stand-by slightly, which means you’ll have more juice when you actually need it.